I am uber sorry for being late in the translations ! But now I’m back with part two ! I was really surprised seeing many comments so thank you so much for stopping by to read it. Part 2 to 4 will be about Sayu introducing to us about the different coordinates of different styles & colors. Also there are certain brands she will be introducing to us ! For Part 2 (page 31), it will be on BURBERRY BLUE LABEL and..the theme will be Neat Coordinates ! Mmmm, love those long boots! 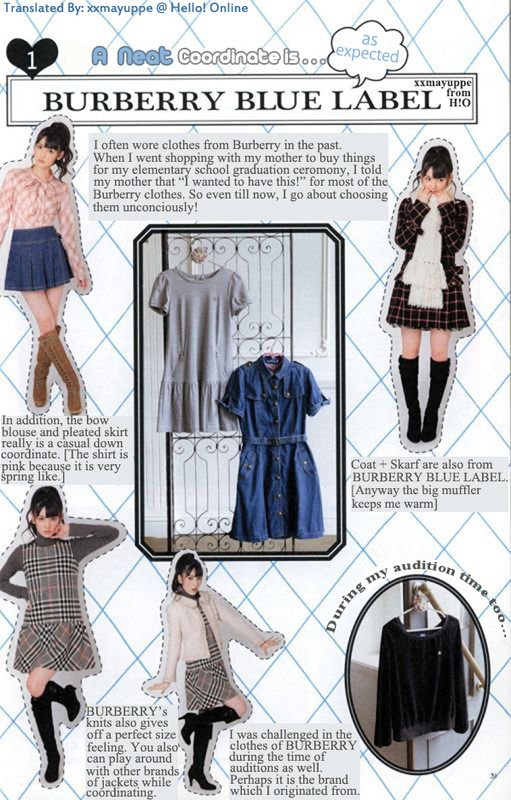 Sayu says maybe this is the brand she originated from…. I have to agree, these clothes look really good on her!